After failing miserably in Corsica, Napoleon returned to France with fresh eyes. Robespierre, a revolutionary fanatic, had begun his Reign of Terror. 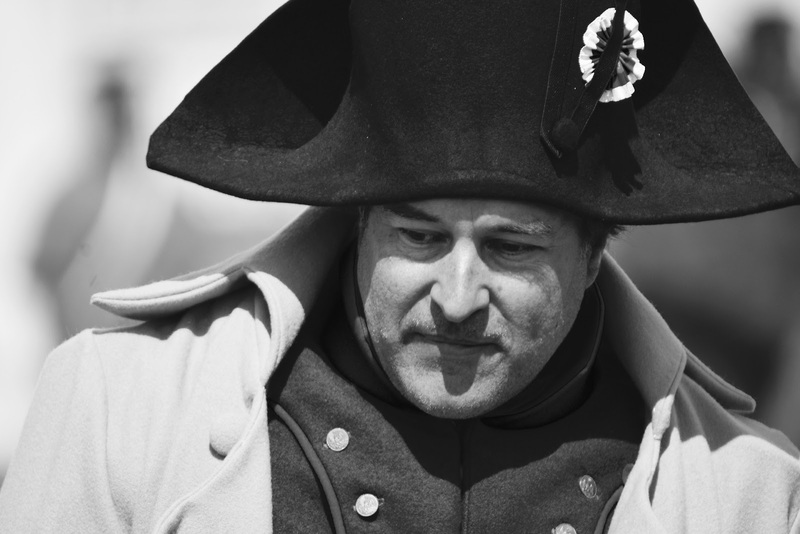 Nevertheless, where others saw death and destruction, Bonaparte saw opportunity. He was finally ready to seize the reigns of destiny. He rejoined the French Military, eager to demonstrate his abilities to the government in pursuing that career. As such, he was ordered to the port of Toulon in the South. Enemies surrounded France on all sides: Spain along the Pyrenees, Austria and Prussia beyond the Rhine, and Great Britain across the Channel. It was this last nation that attacked Toulon. The famous British fleet surrounded the port, blockading it from outside supplies. Regardless of this dire situation, Napoleon formed a plan. The settlers of the city had founded Toulon in an area with many hills. Taking advantage of his training in artillery, Bonaparte desired to bring the French artillery upon these hills. From there, they could shoot each enemy ship at their leisure. The British navy would be forced to retreat. The commanders in charge, however, mistook Napoleon's simple plan for a foolish one. They bickered endlessly; nobody listened to his plan. Finally, a general who actually knew what he was doing showed up and listened to Bonaparte's plan. His response? "Naturally." With a plan finally decided upon, the army moved forward to seize the hills. In the time it had taken the French to decided on a plan, however, the British had moved out and fortified the surrounding hills. Incompetence kills lives. Nevertheless, Napoleon moved forward with his fellow soldiers. In the midst of the shots from cannon and rifle, and clashing bayonet, Bonaparte proved his worth in battle. The French forces repelled the British, seized the hills, and destroyed ten ships before they retreated. In these times of violence, any victory was a prize. Napoleon had won a battle, and he had had military training. These factors, and the issue of a disorganized army allowed him to rapidly rise through the ranks, becoming a Brigadier General. His ambition did not stop in the military. Even though he had failed in Corsica, he wasn't through with politics. Digging out parchment and quill, he wrote a tract showing his support for the Reign of Terror. This tract shows us another vital characteristic of Napoleon: he was a man of order, by any means necessary. Though he hated the killings that the Reign brought, he saw it as the only way to bring about an end to the chaos that surrounded him and his family. This chaos, however, began to rear its head at Robespierre's government. Thousands of Parisian rebels determined to throw down the regime and restore the monarchy. The fragile French Republic could be annihilated before it had barely started. Bonaparte could not - and would not, allow this to happen. He quickly rode to the Headquarters, mustered an army, and swiveled his cannons into position. Unlike the wide plains of Toulon, the city of Paris is covered in narrow streets and alley ways. The cannons were moved to block these narrow streets, and manned with soldiers. As the rebels approached, Napoleon opened fire. It was a massacre. The rebels would see the cannons back, and in a panic attempt to retreat, but were pushed forward by the force of the mob's stampede. Cannons sent canister rounds, renowned for anti-personnel efficiency, straight into the crowds, killing thousands. Instead of regretting that he needed to kill thousands of rebels in such a merciless fashion, Napoleon expressed joy at what had transcended. In a letter to his brother, he wrote that he felt a great sense of happiness at what he had achieved. Mercilessness, however, does bring success in the military. Two weeks later Napoleon was promoted to be a full General. At the age of twenty-six, he controlled the entire French army. I had hoped to cover more, but this post ran longer than anticipated. As a result, come next time to see the man, the monster, the tyrant, fall in love, but also finally strike his fist outside of France.